Sometimes it seems like the sport of bass fishing has more terms than a spelling bee! Even lifelong anglers may not know what everything means. And people are often afraid or embarrassed to ask questions about bass fishing. So we’ve gone ahead and tried to outline some of the major terms you will here when fishing for bass as well as bass fishing tips. Why is bass fishing fun? Bass can be found all over the country. Bass can get very big, ranging from 1 to 20lbs. Bass fishing is easy to learn with some practice and patience. What kind of baits or lures do I need to get started with bass fishing? Crankbaits: Whether you fish from the bank or a boat, you can bet that tossing a crankbait will result in catching fish. Crankbaits are a cast-and-retrieve type lure that help you cover water fast when you search for active bass. However, many people make the mistake of simply casting and reeling it straight back. While you can catch some fish this way, crankbaits are most effective when an angler varies his or her retrieve. That means reel it, twitch it, knock it against stumps and rocks, and do anything else to make the crankbait move erratically. For beginners, try a shallow to medium diving crankbait to target the most aggressive bass in the area. Start with natural colors for clear water and chartreuse or dark colors for stained water. Soft-plastics: It is safe to say that more fish have been caught on soft plastic baits than any other type of bait. Plastic worms, tubes, and creature baits do a great job mimicking natural forage. Starting out, a texas-rigged plastic worm is a great way to fish blown over trees, rocks, and vegetation because it is virtually weedless and snag-resistant. Topwater: While topwaters may not always catch the most fish, they produce some of the most memorable, exciting fish strikes! Topwater baits like poppers and frogs are an absolute blast to use and they often attract the biggest and meanest bass in the water. Poppers and other topwater hard baits work great on main lake points, around standing timber, and along riprap banks. Frogs are designed to be fished in the thickest, nastiest cover you can find, but can also be effective in open water. Where is the best place to buy bass fishing lures? You can buy bass fishing lures in many places such as local tackle shops, big box stores, online retailers, or tackle subscription services. Where can I go bass fishing? While having a bass boat is sweet, you don’s need to own a boat to catch monster bass! Lakes, ponds, rivers, and streams provide ample opportunities for anglers to hook up with some big bass all across the country. The Internet is a great place to identify bodies of water. 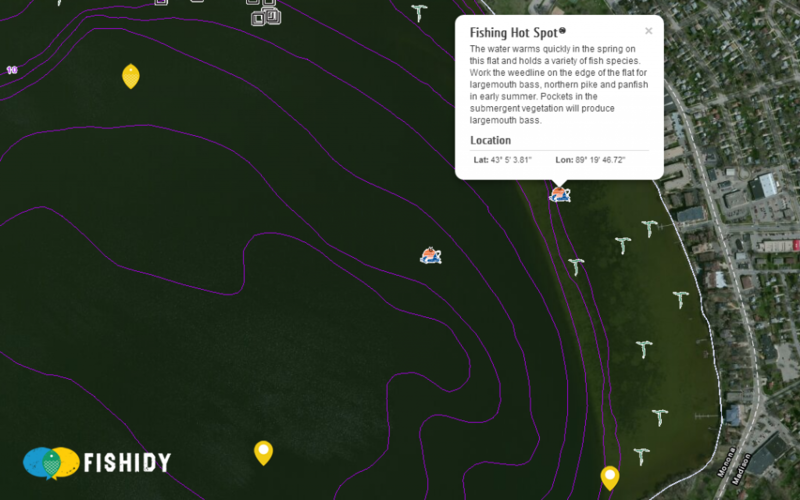 One great way to find where fish are is by using Fishidy to scout maps of local waterways. 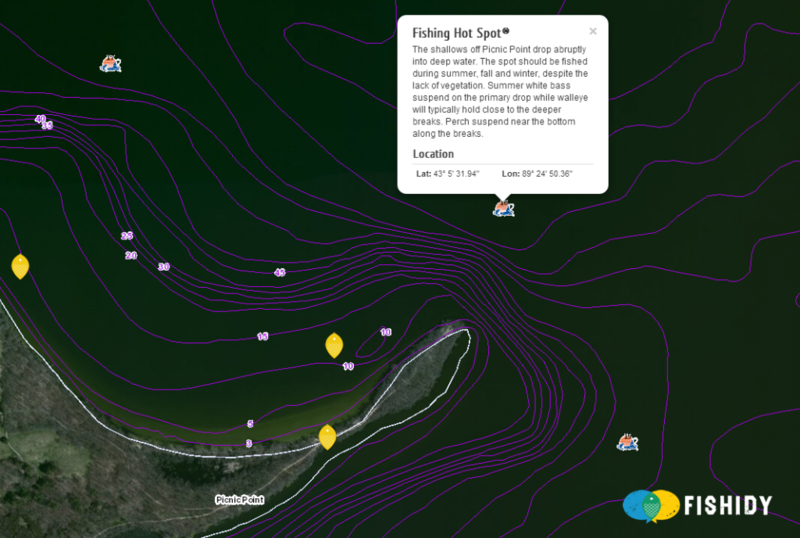 Google maps can also help you locate nearby fishing opportunities in public parks or forest preserves. Another great option for beginning anglers is private ponds and lakes. However, always, always, ALWAYS make sure to get permission with the landowner and treat the property with respect. Nothing can ruin a fishing trip faster than being arrested for trespassing. What is a 4/0 hook? 4/0 represents the size of a hook. It’s one of the most common bass fishing hook sizes there are. Manufacturers typically size their hooks on a scale from 1/0 to 6/0. 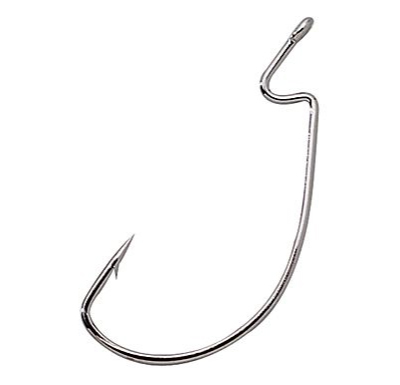 A 4/0 EWG hook is one of the most common hook sizes for bass fishing and is used in many applications. What does EWG stand for? EWG stands for “Extra Wide Gap.” And EWG hook has more space between the shank and the point than a standard hook. This type of hook is great for rigging baits weedless when trying to find big bass in heavy cover. Spawning is how bass reproduce. When a largemouth or smallmouth bass spawns, the female bass will find an area to lay her eggs (called a “bed”). The male then fertilizes the eggs. That’s where baby bass come from! Techniques for bass fishing can differ greatly for pre-spawn (right before bass spawn) post-spawn (right after they spawn) and during the spawn itself. 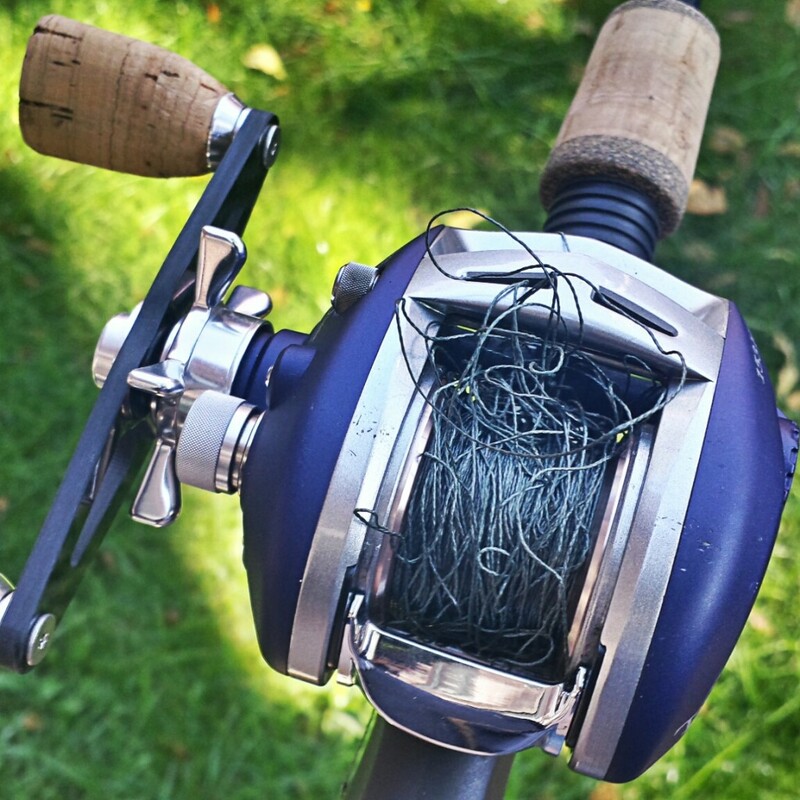 When should you use a baitcaster versus a spinning reel? Bass anglers use both baitcasting and spinning tackle, but each set-up has certain advantages for different applications. Baitcasting gear is generally used for heavier line, 10 pound test and up. Baitcasters excel when anglers are using heavier baits like crankbaits, spinnerbaits, heavy jigs, topwaters, and other similar baits. Most anglers use spinning tackle when employing such tactics as the drop shot rig, wacky rigging, and other more finesse-style presentations which are popular for both largemouth and smallmouth bass. What’s the difference between fluorocarbon, monofilament, and braided line? There are a few ways these three types of line are different. Fluorocarbon Line: Fluorocarbon sinks, which means it is not great for topwater baits, though it is great for reaction baits and soft plastics. It doesn’s stretch as much as monofilament, but it stretches more than braid. It is very clear and difficult for fish to see, making it ideal for finesse presentations. Monofilament Line: Monofilament (mono) floats, so it is great for topwater baits like walk-the-dog baits and poppers. It also stretches a lot more than braid or fluorocarbon, which can be a good thing if you are fishing with reaction baits. The extra stretch allows the fish to get the bait in its mouth better. However, stretch can be a bad thing too, especially on long casts or with baits that require a strong hookset. Braid Line: Braid has become much more popular in the last decade or so. It has virtually no stretch. Also, it is incredibly strong, much stronger than mono or fluoro with similar diameter size. However, braid is much easier for fish to see. This is why braid is often employed while fishing frogs and jigs in areas where there is a lot of vegetation. Many people also use braid in finesse situations, due to its sensitivity, and tie on a fluorocarbon leader to make it more difficult for fish to detect the line. What pound test line should I use? Much like other questions in fishing, the answer to this one is simple and complicated at the same time: it depends. On bass spinning reels, usually anything over 10-12 lb monofilament or fluorocarbon is too heavy, impacting the performance of the bait and reel. Since spinning reels are generally used for lighter baits and more finesse presentations, a good rule of thumb is line size between 6 and 12 lb monofilament or fluorocarbon and 10 to 30 lb braid is solid for spinning rods. Baitcasting reels are used for more heavy or reaction-strike applications. You can use line anywhere from 10 to 25 lb monofilament or fluorocarbon, and 30 to 80 lb braid. Here is a quick rundown of which line to use for which baits. You will notice that there are a lot of overlapping baits. For example, you can use a crankbait on fluorocarbon or monofilament line, it has more to do with preference. Also, these pairings are just suggestions of what traditionally works best. If you like to fish spinnerbaits on braid because it helps you rip it free from the grass, do it. Its all about confidence. Monofilament: Topwaters, Texas-rigged soft plastics, jigs, crankbaits, spinnerbaits, swimbaits. Flurocarbon: Texas-rigs, Carolina-rigs, wacky-rigs, shaky head, jigs, tubes, buzzbaits, crankbaits, spinnerbaits, jerkbaits, swimbaits. 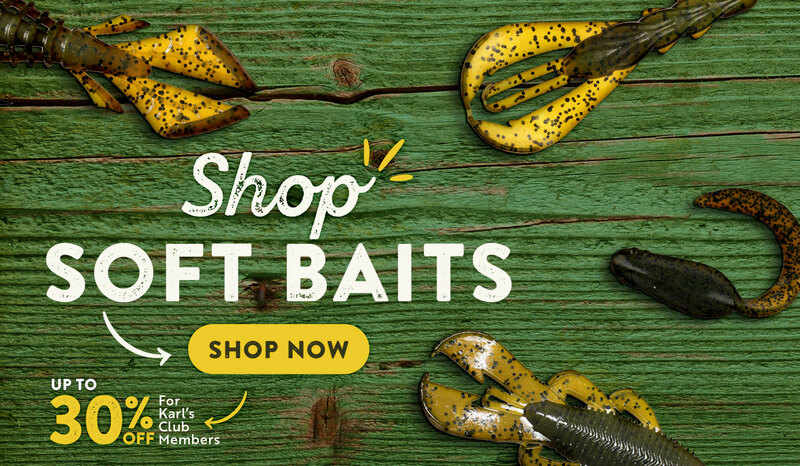 Braid: Frogs, toads, buzzbaits, topwaters, jigs, Texas-rigs, Alabama-rigs, flipping jigs. What knots should I use for bass fishing? There seem to be as many knots out there as there are baits. There are three times you will need to tie a knot in fishing, and here is a list of the top knots in each of the categories. Loop knots: Many people use loop knots on topwaters and reaction baits because they give the bait more action. The King Sling is the best of these knots, with high ratings for braid, monofilament and flurocarbon. Line to line knots: These knots are great when you are tying a leader. The two best knots of this kind are the Blood Knot and the Modified Albright. Line to lure knots: These are the most common types of knots anglers must master. The Palomar Knot, the Improved Reverse Clinch Knot, and the Triple Loop Knot are some great ones to learn, with the Palomar Knot being the most universal. You can learn how to tie all these knots and more by visiting this website or by downloading the Knot Wars app from North American Fisherman on your smart phone. What is a Texas rig? A Texas rig is one of the most common and universally effective types of bass fishing rigs. It is also one of the simplest to tie and use. Step One: Slide on a bullet sinker, like the one shown here, to your main line. Step Two: Tie a worm hook, such as an EWG or straight shank hook, to your main line using a Palomar knot or the knot of your choice. Step Three: Thread the hook point through the tip of the soft plastic you choose and out about one quarter of an inch down the bait. Then, rotate the bait and insert the hook back into the plastic and out the other side. You can then skin-hook (insert just the point of the hook barely into the plastic) to make the rig weedless. Here is a video that walks you through the steps to tie the rig and everything you need to know about fishing it! What is a bullet weight? A bullet weight is as free-sliding weight that you thread onto your line. They are most often used for Texas-rigs and sometimes Carolina-rigs. If you have ever watched a bass fishing tournament on TV, you have constantly heard phrases like, “I am just looking for a limit,” or “I need to get a limit early in the morning.” An angler catches a limit when he or she has caught the maximum number of fish he or she is allowed to weigh in at the scales. In the vast majority of tournaments, a limit is 5 fish. Again, if you have ever watched a bass fishing tournament on TV, you have heard the word “cull,” as in, “I have limit, I just need to catch a big one so I can cull that little one.” Culling is the act of releasing your smallest fish from your livewell and replacing it with a bigger fish you have just caught. A livewell is a compartment inside a bass boat that can be filled with water to hold fish. As the name suggests, the livewell keeps fish alive by circulating fresh water. Bass fishing is a fun and exciting sport. But if everyone kept every fish they caught the fish population would decrease and it would hurt the sport. Catch and release allows other anglers (and you) to catch more and bigger fish. What’s the difference between largemouth, smallmouth, and spotted bass? 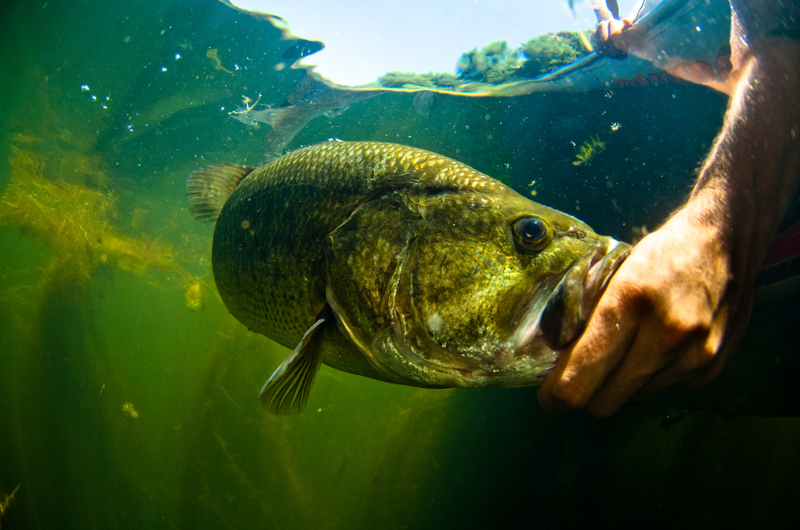 Largemouth, smallmouth, and spotted bass are three distinct species with their own characteristics. Largemouth and spotted bass are mostly green with whitish bellies. Smallmouth are usually brown or bronze with whitish bellies. Another distinction is the size of the mouths, as their names suggest. Smallmouth and spotted bass have smaller mouths than largemouth. How can I tell if I have a bite? If you are using a cast-and-retrieve type lure such as a crankbait or spinnerbait, oftentimes a bite will just feel like “mushy” weight on the line. When bass are extra-aggressive, they will really smack your bait, making it easy to tell you have a bite. Big bass sometimes “knock slack” in your line. This bite is more difficult to detect, but the telltale sign occurs when you are retrieving your bait and it suddenly feels weightless, like your line has been cut. When you are using slower-moving baits like soft plastics or jigs, bites feel more like a ‘shump thump” on your line. Sometimes, you may not feel anything at all! In this case, it helps to be a “line watcher.” If you see your line jump or start moving off to the side, then you can bet you probably have a fish on. A “hook set” is one of the most essential techniques in bass fishing. Setting the hook is when you ensure your bait properly hooks the fish so it does not get away when you are reeling in your line. How do I set the hook? With a crankbait, it is not necessary to jerk the rod hard when you detect a bite. Instead, simple “lean” into the fish by pulling the rod further in the direction you are already reeling. You can use the same technique with spinnerbaits, but jerk slightly harder to get greater penetration. Soft plastics and slow moving baits like jigs require a more aggressive hookset than cast-and-retrieve lures. After you have detected a bite, reel in any slack that you may have in your line, lower your rod tip to about a 3 o”clock position, and quickly jerk the rod upward toward a 12 o”clock position. While topwater bites are the easiest to see, setting the hook can be the most challenging in all of bass fishing. When a bass attacks a topwater bait, oftentimes they strike it to kill it first, not necessarily to eat it. For that reason, you have to be more patient when setting the hook. The first rule of thumb is to wait until you actually feel the weight of the fish on the end of your line. The second is to count two seconds in your head before setting the hook. Even if a bass misses it the first time, the will often strike multiple times on a topwater bait! How do I land a bass once I’ve hooked one? So your hooked up with a bass, what now?! Here are just a few tips for getting the bass to the boat or the bank. Never “horse” it in – There is no time limit or shot clock. Allow the fish to wear itself out instead of just cranking it in as fast as possible. Prevent the fish from jumping – Bass jump out of the water when they are hooked. While this is an exciting spectacle, it is also the most dangerous part of the battle. Bass jump because they have more leverage to “throw” the hook out of the water than they do in the water. For this reason, keep your rod tip low and so that the fish is less likely to jump. Releasing the Fish – Here at Mystery Tackle Box, we like to support the catch-and-release of bass. This helps ensure the continued success and enjoyment of the sport of bass fishing. Simply snap a few pictures (for bragging purposes and evidence) and release the fish as quickly as possible. And even if you follow all these steps, you still may lose the fish. That’s OK, even the pros lose fish every once in awhile. What’s the biggest bass ever caught? There is a tie at the top of the bass fishing world for who has the biggest largemouth bass. The longstanding record has been help by a man named George Perry. His legendary catch, a 22-4 pounds largemouth in 1932, was caught in a small oxbow lake in Georgia. 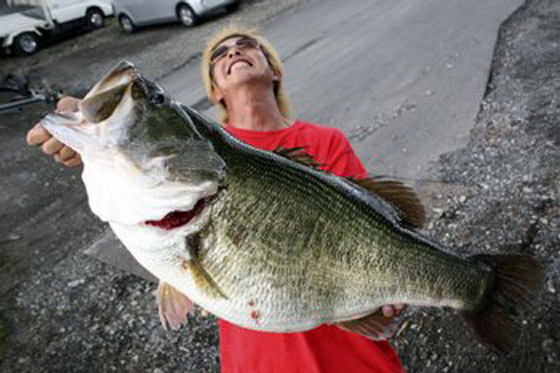 In 2009, Manuba Kurita caught a bass in Japan’s famed Lake Biwa that bested Perry’s record and weighed closer to 22-5 pounds. However, they are officially considered tied because the IGFA requires a fish to be a full 2 ounces larger for gamefish under 25 pounds to be considered the sole record holder. You can read more about it here. How should I hold a bass? Can I catch big bass from shore? Absolutely! Big bass can definitely be caught from shore. Spring and fall months are the best months to catch lunkers in the shallows, but you can catch them among cover near the bank throughout the year! How does a depth finder/fish finder work? Depthfinders, fishfinders, graphs, electronics, are all names for the same thing. These devices work the same way dolphins or bats find prey. 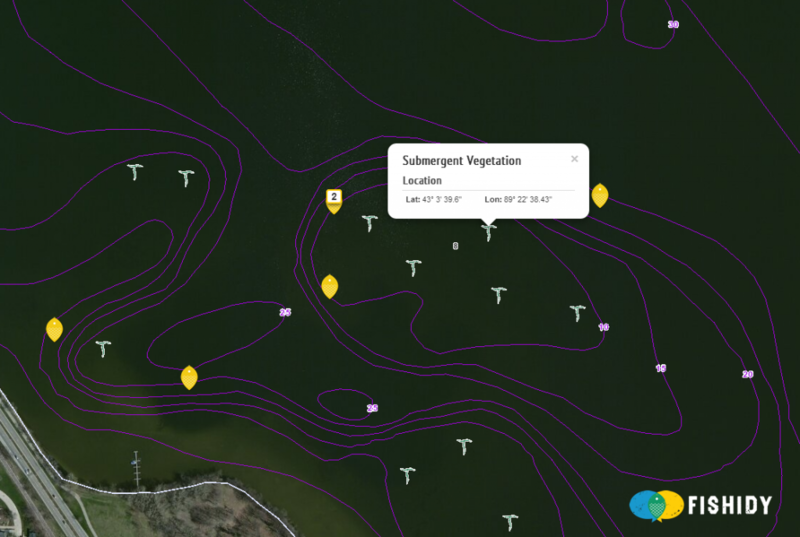 The fishfinder sends out a soundwave, and the soundwave bounces back. If there is a fish between the boat and the bottom, then the sound wave looks different and you “mark” a fish. Fish usually look like arcs on a fish finder. Bass are ambush predators, so they like to hide in waiting for prey to come by. Bass use ‘structure” as their hiding place. Good bass fishing structure includes, but is not limited to, brush, docks, laydowns, weeds, rockpiles, etc. A point is a feature on a lake characterized by a tapering slope surrounded by two drop-offs on either side. Bass relate to points throughout the year, but especially in the early months before the spawn and during the summer. Points are must-find spots for bass fishing many times during the year. Active bass can often be found on flats, which are basically just large areas where the water is shallower than the surrounding areas. These areas are the first to warm up and attract baitfish, so the bass naturally feed there. A swivel is a small, usually metal piece of equipment that can be used to keep line your fishing line from twisting. You can also use swivels in a number of rigs such as a Carolina Rig. A leader is the last bit of line in front of your bait. Bass fishing anglers tie leaders to their main line if they want reduce the likelihood that a fish will see their line. Yes, we know there are many many more terms related to bass fishing. If you have some you want to add, please post them in the comments below! Your guidance, really appreciable! It’s indeed one’s approach ever to know and learn something that makes fishing easier and effective! Technically being reasonably aware lets anglers to better know what fishing tackle to be approached most. Given details are amazing ensuring one to go nicely capable for specific fishing game! Good info! You, Sir, are absolutely correct. You are defining “cover” as “structure.” “Structure” is the shape of the bottom of the lake, pond, river, or reservoir. It consists of such things as channels, ledges, humps, dropoffs, points, etc, depicted on maps by contour lines. “Cover” consists of pretty much everything in or on the water, above the bottom: brushpiles; weeds, whether underwater, floating, or emergent; weed and algae mats; docks, pilings, logs, and trees, whether standing, leaning, sunken, or fallen; tires and artificial reefs; culverts; and rocks (Rock riprap is rather a toss-up, since it could be either structure or cover). Even floating trash that has blown into a cove can be used by bass as cover; in that respect, even shade can be considered to be cover. This question may have already been answered. But does the Mystery Tackle Box choose its monthly fishing lures according to the season they are in?